Wintertime in Colorado, while filled with fun recreational opportunities, is also filled with challenges for your dog. As a professional dog walking company, we encounter chemical ice melts every day in the wintertime. Ice melts are particularly prevalent if you live near town, where sidewalks and businesses are carpeted with it. Surprised? You’re not alone. Many people are unaware of the health problems posed by exposure to these products. It’s just not something your think about. 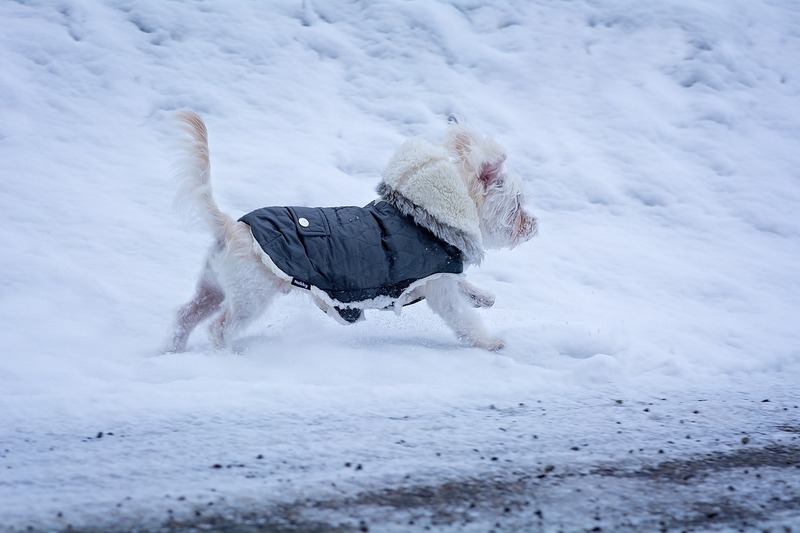 The fact is dogs and chemical ice melters don’t mix – for a lot of reasons. As a professional pet sitting company, we have a duty of care to our clients. That duty of care also involves educating pet owners. A lot of people just don’t even consider that something as innocuous as ice melt can be dangerous. After all, they buy it at their grocery story, along with their dog food. Please educate yourself and then educate your clients. Dogs who have access to walkways treated with salt-based or chemical ice melters frequently get the super-heated pellets (175◦) stuck to their paws. This can cause direct exterior damage to the paw, and result in further interior damage when your dog licks and ingests the pellets. Repeated ingestion can result in kidney problems or pancreatitis. Bloat (an emergency situation) is a greater threat in larger dogs who tend to drink large amounts of water. Are you looking for a loving, professional dog walking service? See what our clients are saying about our professional dog walking team and contact us today. Our mid-day dog walks and dog hiking program are perfect for professionals too busy to get home during the day! If you suspect your dog has consumed a chemical ice melt, contact your vet immediately!